If you missed parts 1, 2, or 3 of this trip report then click on the corresponding number to catch up! “It’s not the destination, it’s the journey.” This is a nice thought but hardly ever true. With all due respect to Mr. Ralph Waldo Emerson, he clearly didn’t have to sit on an airplane for 10 hours, stay in the Beijing Airport for 16 hours and then sit in another plane for 4 hours just to get to Japan. I mean, maybe he did but seeing how he died in 1882 I highly doubt it. When talking about travel, especially via plane, I hardly ever get excited about the actual travel relative to the destination. The Shinkansen (Japan’s bullet train) is an exception. While all trains are likely more comfortable than airplanes, Shinkansen’s take this to a new level. With leg room to spare and plenty of room for luggage, the journey across Japan is beautiful and enjoyable. We took the bullet train from Kyoto to Tokyo and immediately wished we had gone on the Shinkansen at least one other time. There was the convenience and precision that the Shinkansen offered. 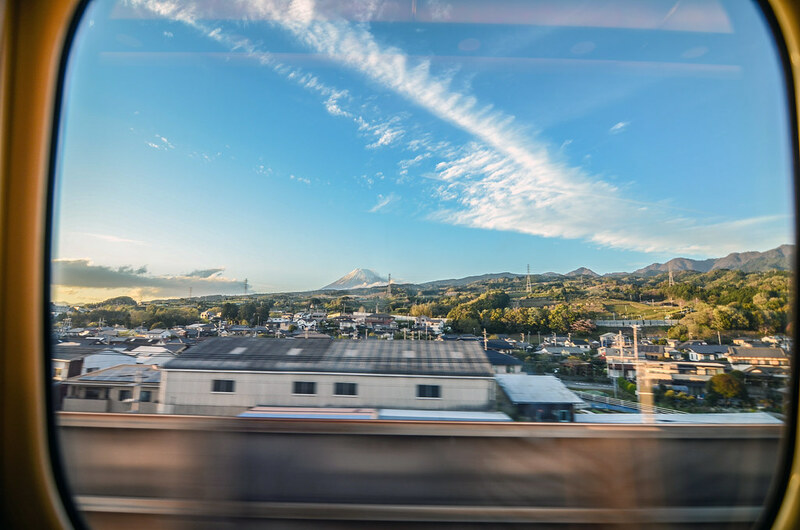 Departing and arriving precisely on time is a hallmark of the Japanese train systems and our Shinkansen met those expectations. As I already mentioned, the seats are comfortable and perfect for napping or just looking out the window. On this certain day it was very clear and we were able to see the water on the right side of the train (again, traveling from Kyoto to Tokyo) and villages along the way. Eventually we had a wonderful view of Mt. Fuji on the left side of the train. We felt as if we’d seen a good portion of Japan and still made great time, arriving in Tokyo less than 3 hours after our departure. Melissa and I had an open seat next to us and a few incredibly kind Japanese ladies sat by us. The first lady shared about her daughter living in the U.S. The other asked us about our trip thus far and was very accommodating as we went to the other side of the train to get a view of Mt. Fuji. We don’t speak Japanese but they did their best to make conversation in English. While I’m sure it seemed like nothing to them, the conversations are something I look back on fondly. 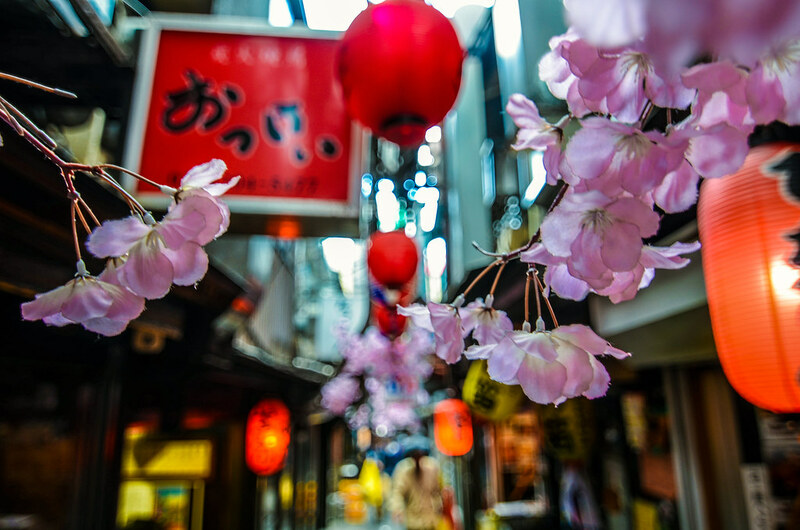 The people of Japan are eager to share their country and, at least in our experience, they do it in a humble and charming way. 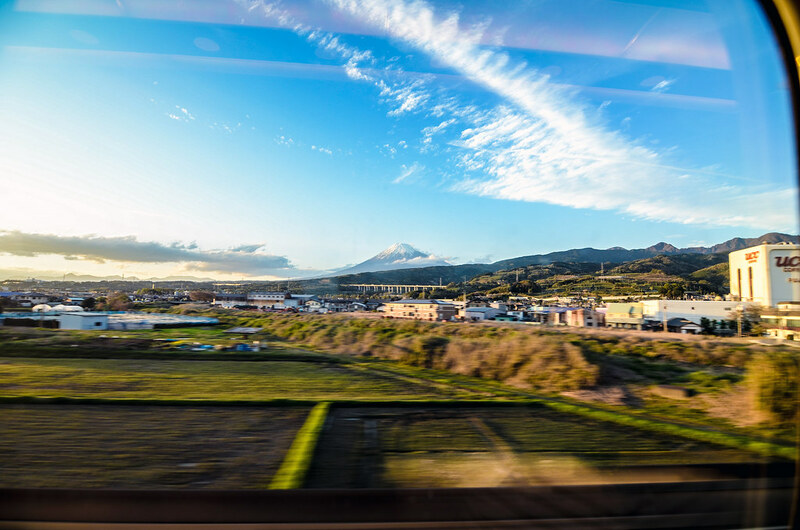 It may sound silly but I think the Shinkansen would land in one of my top 10 things to do in Japan. Frankly, we just don’t have a train system of this quality in America and I loved seeing the country through this route. As I’ve mentioned in previous installments, we bought the Japan Rail Pass ahead of time and that covered our travel on the Shinkansen. I would absolutely recommend the same to anyone who is going to Japan. We arrived in Tokyo by late afternoon and found our Airbnb with relative ease. Without many plans for the night, we settled on a sushi restaurant in Shinjuku for dinner. Tokyo has a train loop (the Yamanote Line) that goes around the city. This line has 29 stations and trains going both directions. Tokyo, Ueno, Shinjuku and Shibuya are a few of the major stations along the way but each stop feels gigantic compared to a typical big city. 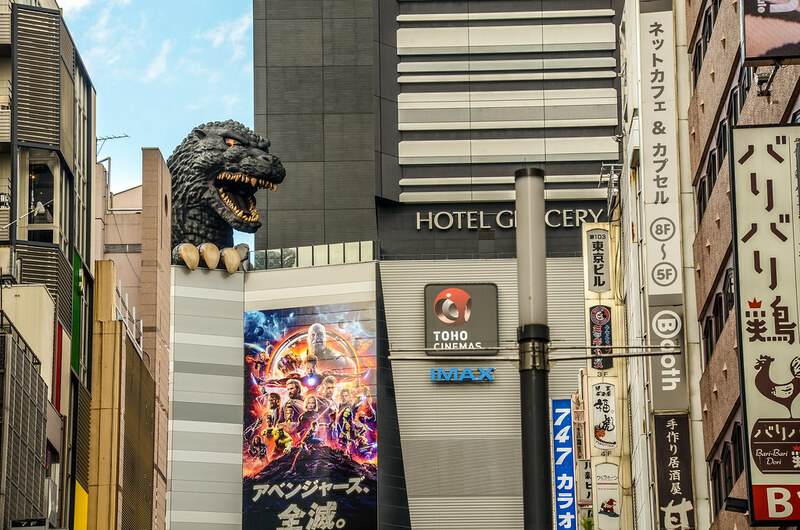 Tokyo is larger than life. Sky scrapers reside at every station, as well as outside of the main loop. Some stops feel historic, a look at the past in a futuristic city. More often though, the stops feel like a sensory overload. 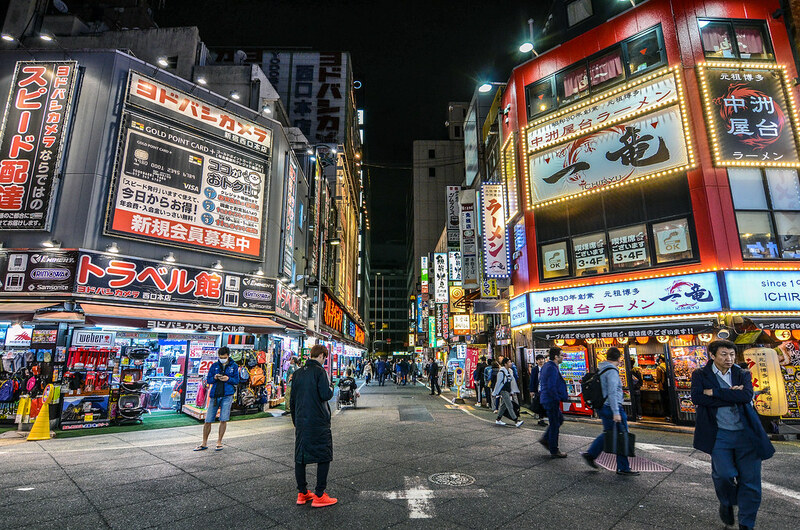 Neon lights, gigantic department stores, niche cafes and an incredible sense of fashion make it feel as if you just woke up from a 300 year nap and this is the future. The experience is disorienting, jaw-dropping and bordering on absurd. It’s also beautiful. We had dinner at Himawari Zushi Shintoshin. This was a conveyor belt sushi restaurant that was ridiculously good. I will probably never eat this much sushi in one sitting again and our meal still ended up being around $30. The eel in a sort of teriyaki sauce was one of the best items I ate our whole trip. I would definitely recommend this place if you are not wanting to break the bank on good sushi. After dinner we walked around Shinjuku, trying to get a grasp on the city. It didn’t work. 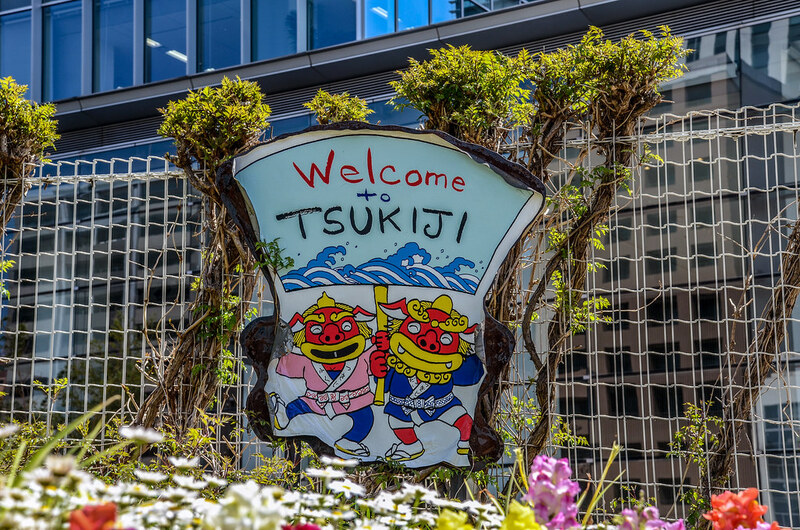 We spent a good portion of our time in Tokyo around Shinjuku and I still don’t understand where things were. That didn’t make it less enjoyable. We stopped by an arcade so Mackenzie could play some claw machines (I guess she loves them?) and we did this strange Guitar Hero-esque drum game. The amount of restaurants and shops in this area were incredible and the neon made for a stark contrast to our experiences in Kyoto. There was almost a bit of culture shock, going from one city to another. As I’ve said, Kyoto is now my favorite city I’ve ever been in. Anything that followed it would feel like a letdown… Except for Tokyo. Don’t get me wrong, I far prefer Kyoto to Tokyo. But, Tokyo was just as astounding as Kyoto in a completely different way. We stumbled upon a 5(!) 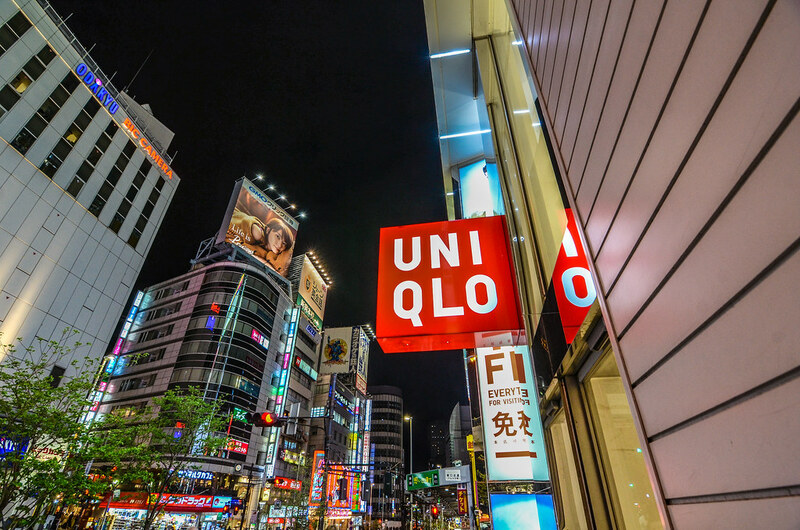 story Uniqlo and did some shopping there before calling it a night. While we could have planned something a little more for the night, it was nice to just wander around for an evening. I’ve since read about a free observation deck in Shinjuku that I wish we’d done but there’s always next time! The next morning we left our Airbnb, near the Otsuka Station, and headed in the opposite direction as the previous night. 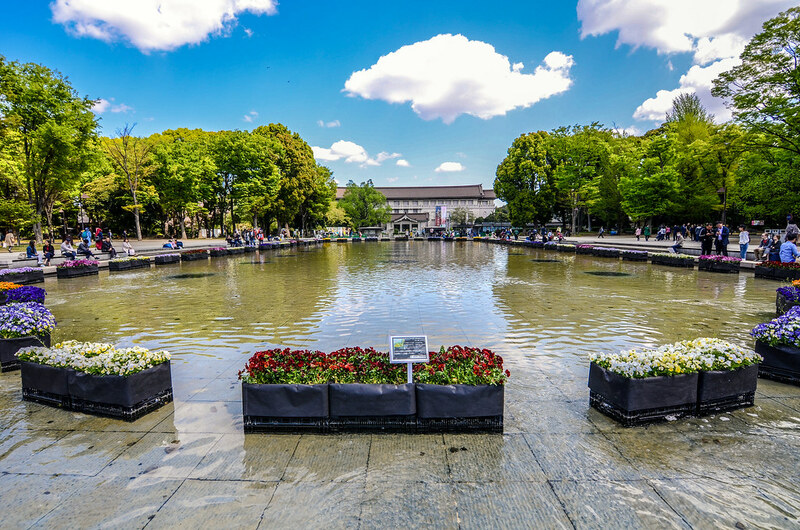 We planned to spend our morning in Ueno at the Tokyo National Museum. We ended up leaving something at our rental and had to go back so we didn’t do the museum. I still enjoyed the area, as it felt more historic. There were some beautiful cherry blossoms and buildings. The whole area felt more like a park rather than the big skyscrapers. I’d like to spend more time in this area. We eventually ended up back in Shinjuku and got moderately lost looking for a few stores. Still, there was plenty of shopping no matter how lost we got. We ate lunch in the same area as the previous night, this time at a place that served a few different options. It was good and at a decent price. If this trip had been in America I think we’d have spent at least double on food. Our sit-down meals were never over $20/person until we got to Tokyo Disney Resort and most were around $10/person. We shopped for a while and saw more of Shinjuku. While the area was definitely huge, there were several area to escape the crowds and enjoy the beauty. Here’s a few photos. Next on our itinerary was the Robot Restaurant. If you have never heard of this very popular tourist destination, here’s a quick rundown: There are robots that go down a small runway which is surrounded on both sides by the crowd. There is no restaurant, but there is popcorn and drinks. It’s insane. The show is, without a doubt, a tourist trap. Among all of the things we did in Japan, this had the highest rate of tourists involved. 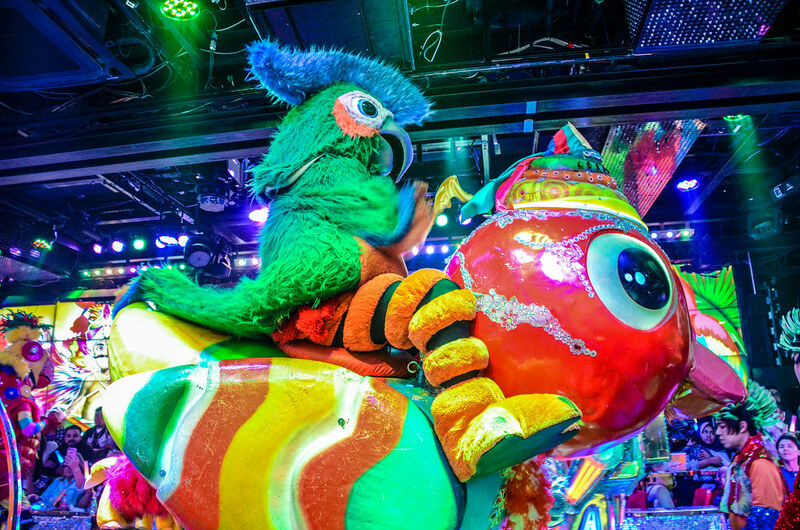 Robot Restaurant is catered to tourists and, at times, panders to them. Of course, the places that become tourist traps generally become that for a reason – they are/were worth going to. 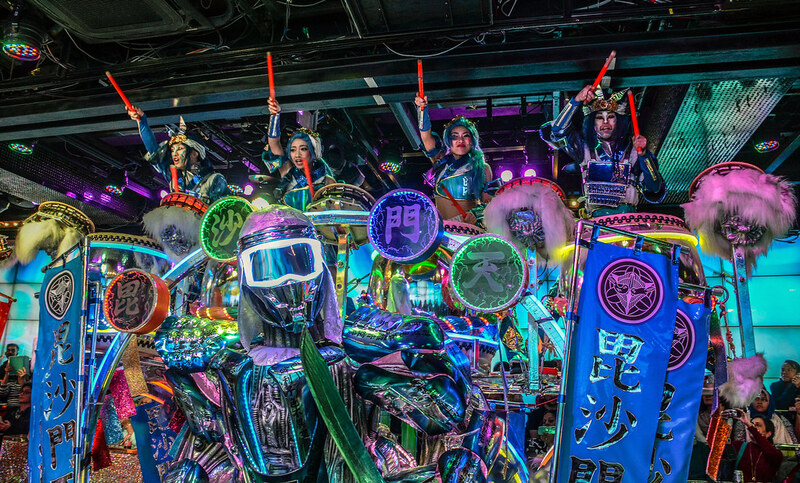 Over the last few years, Robot Restaurant has garnered a ton of attention and it deserves it. The show is insane and unlike anything I’ve ever seen. There were three acts in the show. First was a ton of dancing with some robots and large animals, along with drummers. 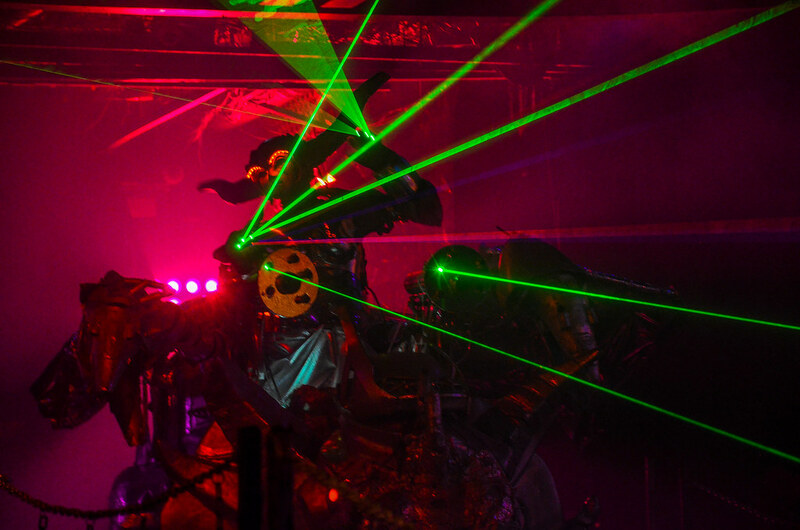 The second act showcased a strange story of robots taking over the world but the animals stopped them. The climactic moment came when a character, who resembled a ninja turtle, stuffed a rock inside of a giant snake’s mouth, the snake spit it at the lead robot, killing it and saving the planet. That was my take anyway. The third act was basically 3 parts – Darth Maul doing a crazy light show, a Michael Jackson tribute featuring robots, and then a weird cover of Uptown Funk with a bunch of other stuff going on. I think you’ll read that last paragraph and will immediately decide if the Robot Restaurant is for you or not. The show does what it sets out to do. It’s zany fun that is fairly self-aware. I actually think it may have stumbled into being a good summary of the crazier Tokyo neighborhoods. 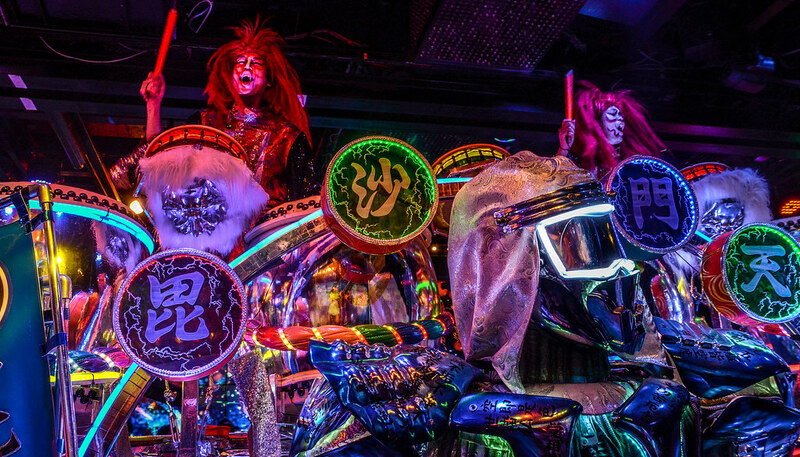 While the Robot Restaurant is certainly over the top compared to Tokyo, both overwhelm the senses and aim to make you lose inhibitions. It’s also a show that you wouldn’t work anywhere else in the world. It’s like the Japanese take on Las Vegas. I’m not sure that I’d recommend Robot Restaurant though. The price is high and some of the robots and costumes are a little worn down. It’s not the most comfortable experience and, again, it’s a very a touristy thing to do. In that same vein, I don’t regret going at all and would happily go back. The show is both delightfully weird and a headache. Trust your instincts here, if it sounds like a fun then it will be. Likewise, if it sounds like a nightmare then don’t go. If you’re on the fence, I’d probably recommend it because there’s a bird riding on a bird. After the show, we walked around Shinjuku before heading to Shibuya. That evening kicked off a nice slew of sunsets for the week. We headed to Shibuya around 6 and spent the rest of the evening there. 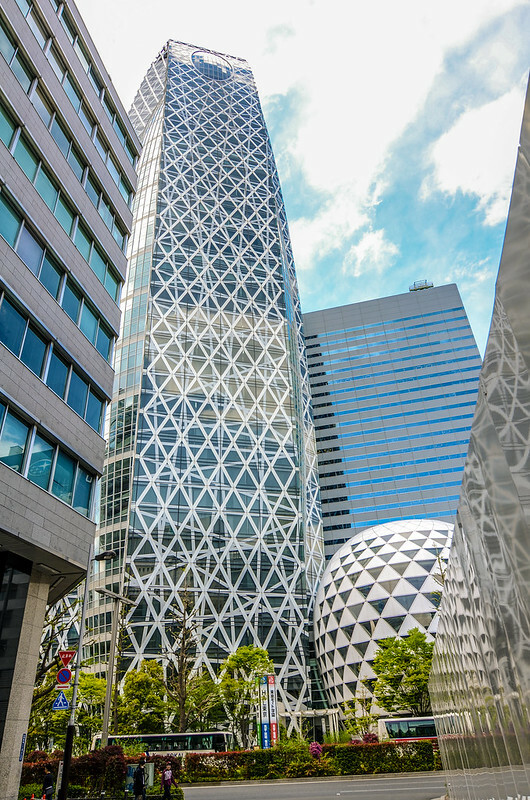 It certainly matched, if not surpassed, Shinjuku’s craziness. The buildings were even bigger. There’s a 9-story Tower Records. I didn’t know Tower Records was still around but there was a 9-story one there! More on topic with this blog, there was a 3-story Disney store with quite a bit of home decor that Melissa loved. 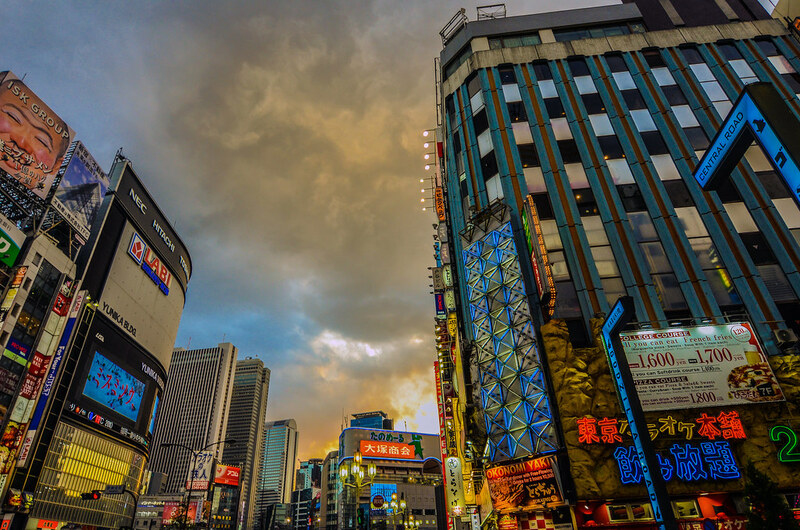 The shopping in Shinjuku and Shibuya was unlike anything I’ve ever experienced. I don’t love to go shopping but it seemed like a must-do here. Frankly, it was hard to not just go in every store but on limited time we had to be a bit picky. While most stores were quite expensive, there was no shortage of places to go. We had a fun time to just walking through stores. We ate sushi again that night, this time at a Japan chain called Genki Sushi. While I liked the previous night’s better, this was even cheaper than that and still far exceeds what I’ve had stateside. It probably goes without saying but the biggest city in the world has no shortage of good restaurants. After dinner, we spent some time at Shibuya Crossing, the World’s busiest intersection. There’s a Starbucks on one corner of the crossing and has a good view of the area. After a little watching it was time to go for it. At this point in the night, it wasn’t quite as busy as when we had crossed earlier. Going across once wasn’t quite the thrill I was seeking. That’s when I decided to go for it – The Full Diamond. Both, my favorite and dumbest thing I’ve ever done included going all the way around this crossing instead of just going on the diagonal crosswalk. Like a baseball diamond, I would start at home and go to first, second, third and back home in the span of one walk sign. Before you judge me too much, I’ve always had an affinity for crazy crosswalks. Okay, that makes judging me even more permissible. No one else in the group joined me on this quest. They watched from the sidelines as the stop hand turned into the walking man. I made it through the first and second crosswalk with relative ease and by the third I felt pretty good. Right around then I noticed the countdown starting so I upped my pace and made it home with seconds to spare. My only regret is not throwing in a diagonal cross at the end. I’m thinking a figure eight next time. Still, that night a legend was made. That legend was me and I hope none of you are reading this. Exhausted after my feat, we went back and went to bed. The next morning we set out for the Tsujiki Fish Market. The roughly 20 minute walk from the nearest station was quite pleasant and a little more reminiscent of the city’s were used to. Eventually we ended up at the market. While we weren’t ambitious enough to show up for the legendary 3 AM tuna auction, the market was still very impressive. This was like Pike Place Market in Seattle except twice the size. We sampled a good amount of food and wandered through the shops there. Melissa and I had some of the best seafood we’ve ever tasted and thoroughly enjoyed the area. 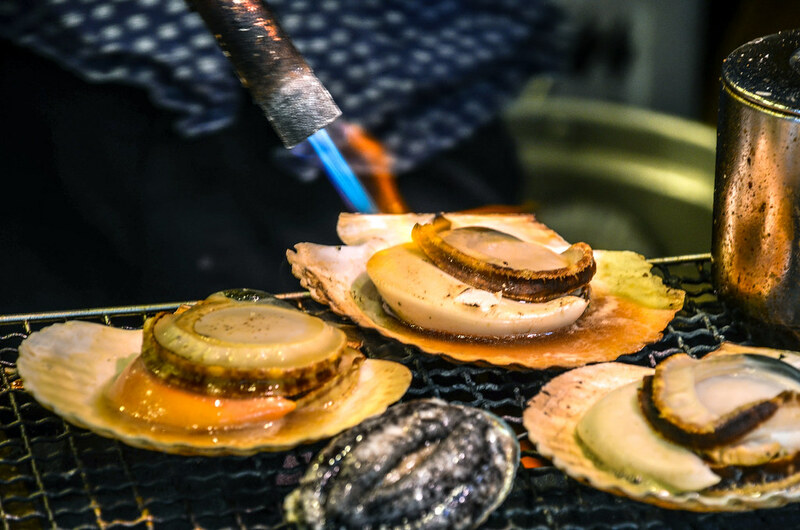 Although slightly out-of-the-way, the fish market was well worth our time and something I’d revisit on a longer trip to Tokyo. After that we went back to our Airbnb to grab our bags and then headed towards Tokyo Disney Resort. The route there from Tokyo was fairly easy. There is a transfer in Tokyo Station and then the resort is a few quick stops away. We’ll pick up there in the next trip report. Tokyo was both wonderful and confusing. I left wanting to stay longer but also knowing that I enjoyed Kyoto far more. In retrospect, I wish we had planned a few more actual things to do in Tokyo. Walking through Shinjuku and Shibuya was fun but it felt like that was nearly all we did. Admittedly, most of my planning went into Kyoto and Tokyo Disney Resort. I should have made more concrete plans for Tokyo. Still, we had a great time and I look forward to going back. This is the close of our non-Disney aspects of the trip so I’ll leave you with one final thought. Go to Japan. There are many other areas I want to visit but, just condensing this down to Kyoto and Tokyo, I can’t think of a person who wouldn’t enjoy the trip. Kyoto is historic and beautiful, a peaceful place to find oneself and admire historic sites. Tokyo is huge and futuristic. There’s no shortage of things to do and the traveling is easy and convenient. We’re just a month removed from our trip and are very eager to go back. 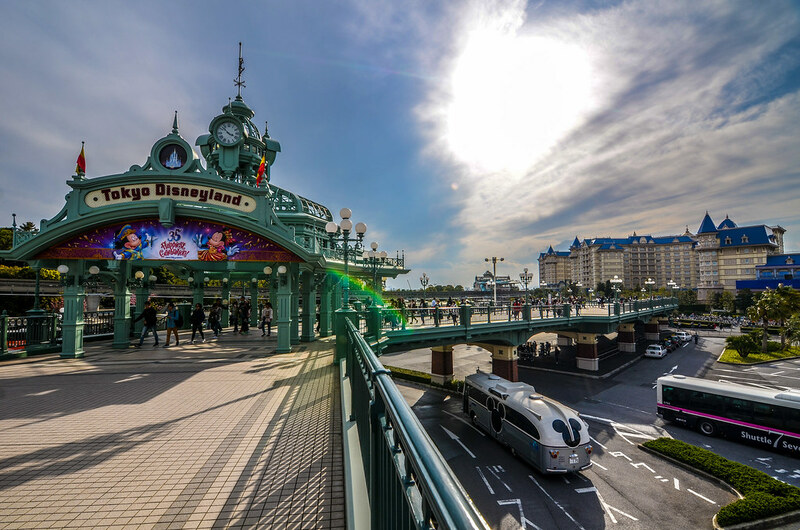 To continue on to our Tokyo Disneyland Trip Report, click here. 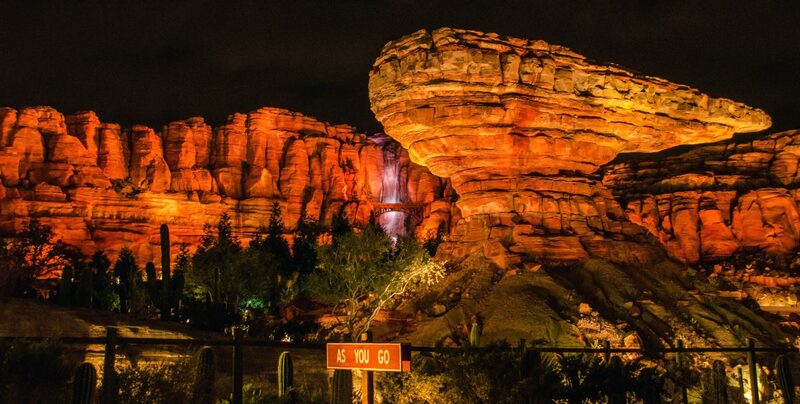 What Makes A Good Theme Park Land?